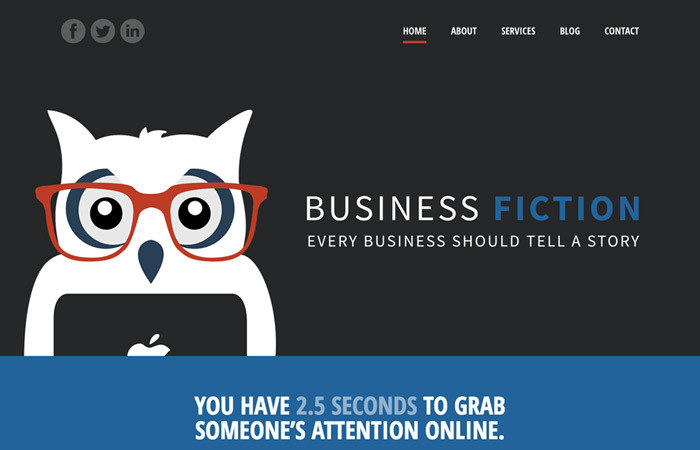 Based in Northampton, Business Fiction offers bespoke content marketing, copywriting and social media services to businesses of all sizes. Mark was looking for a freelance web developer to create something simple but eye-catching that would distinguish his business from its competitors and convey the professional-yet-personal service he provides. Making a feature of their unique logo, I designed and built a website that focuses on effective and engaging communication – something central to Mark’s business ethos. Having previously spent countless hours building, breaking and then rebuilding my own business website, it became clear I needed to turn to someone with far more expertise. Thankfully, I found Tim, and the work he performed on my new web design confirmed why it’s such an important service for all business owners to invest in. He’s a delight to work with, and the finished article is absolutely fantastic. Very happy indeed!